I stood looking at my boys a few days ago, and I just burst into laughter! My kids look like they have been to battle—and were on the losing end! About six weeks ago, my younger boy came in and said he had hurt his thumb playing football—the same thumb he hurt playing football last fall that resulted in a cast for four weeks! When I saw the lack of mobility, I found an ace bandage and began to wrap it and give him ibuprofen. The next morning, we headed to the after-hours clinic for an evaluation and x-ray. They placed a splint on his thumb and told us to see the orthopedic in the upcoming week. We knew walking in to the doctor that we would leave with a pretty new cast. His color of choice? Orange! Getting our Hunter Orange Cast! About three weeks into our cast, youth deer hunting season opened. The boys loaded up with my dad in hopes of getting the big one! I received a text from Cole on day two of the hunt. I wasn’t sure how bad it was, but I told him to get some ice and ibuprofen. I could tell it hurt, but I didn’t think much about it—until he got home. When he walked through the door, he had a huge knot on the bridge of his nose! The swelling was so obvious. Then, my other son walked through the door. I could see a ring on his forehead, and asked him what happened. “I got hit with the scope,” my son of few words responded. Both boys. One with a knot. One with a bruise. 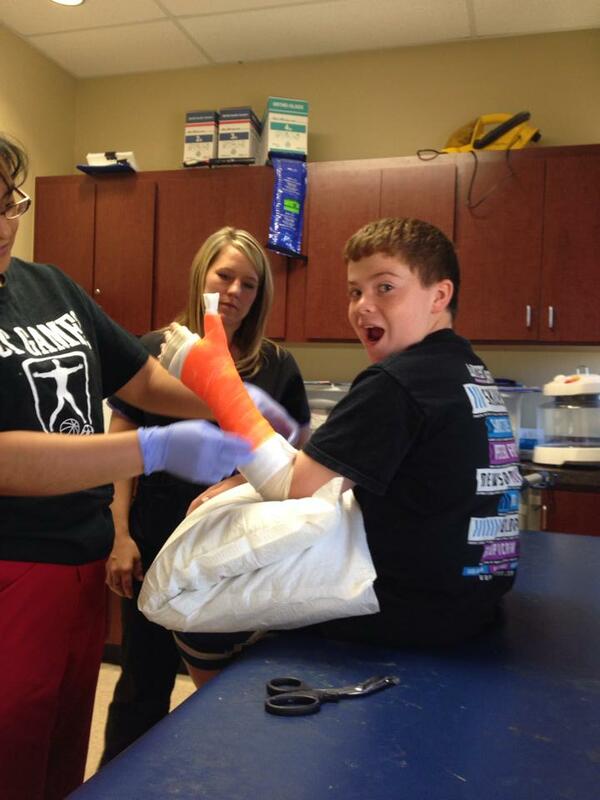 A couple days after the hunting trip, Cole and I headed back to the orthopedic to have his cast removed. 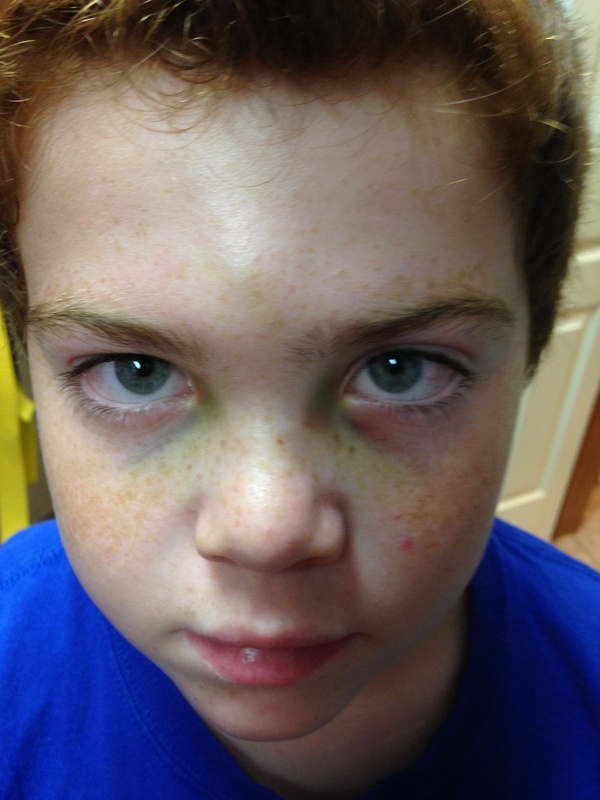 As we sat in the doctor’s office, I noticed that the swelling had subsided—and he now had two black eyes! As they always do, they were getting darker and the bruising was spreading. We laughed at his Halloween appropriate appearance. They cut the cast off his arm, placed him in a splint, and we walked out—relieved that this chapter was over. Three days later, I was at work when I received a text message from my oldest son. Never what you want to hear from your child. 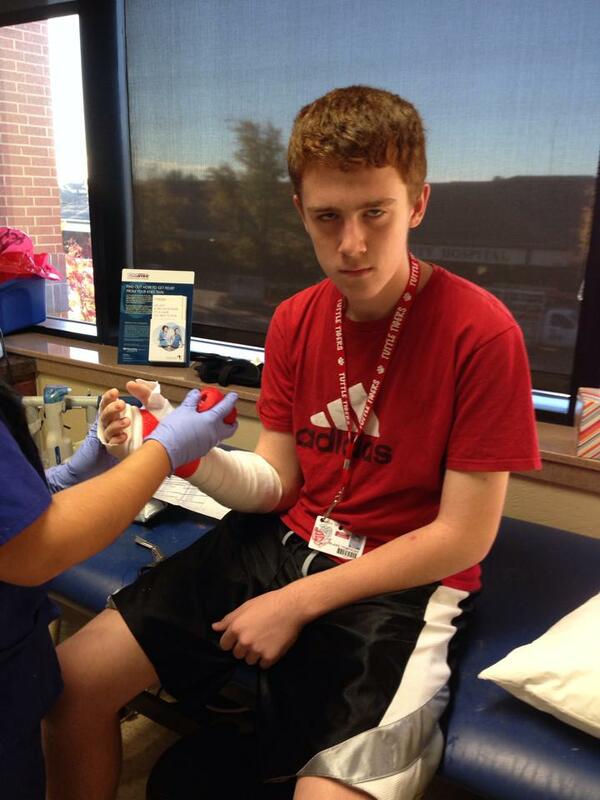 “I hurt my arm,” he responded. I forgot about texting and called him. He began to tell me that a collision in basketball had caused him to hit the wall, hand first. “It feels just like the last time I broke my arm,” he said. For the child who never complains, that was a huge admission. I left work and went to school to get my son and head to the after-hours clinic. As my work phone continued to ring and I frantically tried to handle work situations while caring for my child, my head was spinning. I was really beginning to wonder if this after-hours clinic was going to put all my visits for x-rays with my different children together and report me to authorities! That leads me to my children. I stood looking at my boys. Cole with two black eyes. Blake with a bruise on the forehead. Cole with a splint on his left thumb. Blake with a splint on his right arm. What do you do when faced with the unexpected? What do you do when you have been beat up by life (or sports)? What do you do when you are so down that you can’t see the light? All I could do was laugh! I could choose to be angry. I could choose to worry and fret. I could choose to wonder what others think about me when they see my band of beat up warriors. Instead, I choose to laugh. I’ve learned that worrying is useless; it only adds to my stress. I’m learning that keeping my mind focused on God allows His peace to pervade my heart and mind. I’m learning that collapsing in a pool of laughter relieves so much stress. I’m learning that this too shall pass. I’m learning that one day we will look back with laughter at this time in our lives—so why not start now? I know there are many of you facing trials far worse than my silly examples. But, I also know that God is still faithful. God is still on His throne. God still cares about every bump, bruise, and break you face on this journey known as life. And, as you learn to walk closer with your Savior each and every day, you will find the ability to laugh. You can laugh as the world throws so much at you that you don’t know if you will survive. You will be able to laugh when it seems everything is crashing in around you. You will laugh when you see your God’s faithfulness to carry you through. You will laugh when you see His amazing provisions for your every need. You will laugh because you know that your God holds the future in His hands and there is nothing to fear. Nothing will ever separate you from the love of Christ Jesus. Trust Him with your future today! well done dear the lord will always guide you when you need him! Thank you. 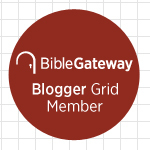 God is so good…All the time!